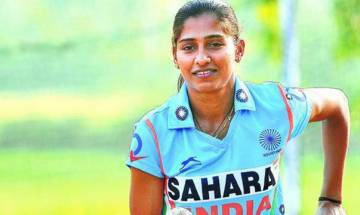 Striker Rani Rampal will captain an 18-member Indian women's team at the Hockey World League Semi-Final commencing on July 8 in Johannesburg. India were handed their first loss in Hockey World League semi-final in London by a well-drilled Netherlands who took an imposing 3-0 lead before Akashdeep pulled one goal back for his team. 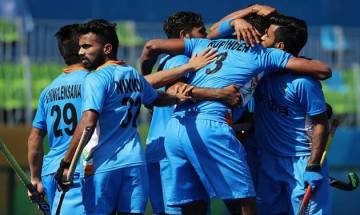 The Indian men’s hockey team will lock horns against world number four Netherlands in their final Pool B clash of the Hockey World League semi-final in London on Tuesday. Sports buffs all across the Indian subcontinent would have jam packed ‘Super Sunday’ as old foes India and Pakistan clash on the cricket field as well the hockey turf on the same day. India scored three field goals through S V Sunil (5th minute), Akashdeep Singh (10th) and Sardar Singh (18th) to pocket full three points from the Pool B game at the Lee Valley Hockey Centre.